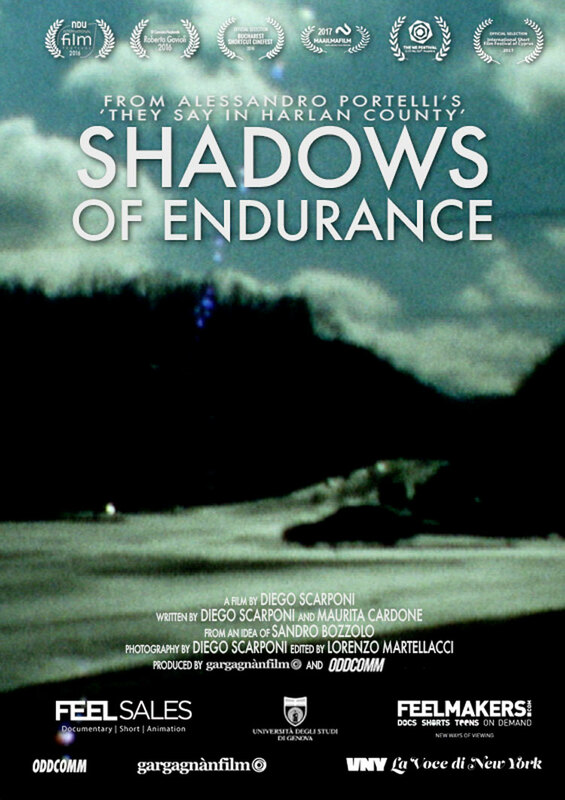 Shadows of Endurance è un viaggio nel tempo. È un corto doc girato nella Contea di Harlan, in Kentucky, ispirato dal capolavoro di storia orale di Alessandro Portelli, America Profonda. Il film è un road movie nella forma di resoconto/diario di viaggio sui temi che caratterizzano la contea di Harlan, ieri segnata dall’alta concentrazione di miniere di carbone, oggi dalla disoccupazione e dalla miseria. Nel film, le voci registrate da Portelli oltre 30 anni fa si mescolano alle testimonianze e agli incontri di oggi e ci forniscono il ritratto di una waste land cruda e desolata, specchio della provincia USA di oggi. Shadows of Endurance portraits two centuries of American history through stratified layers of time, comparing the lives of the people currently living in Harlan County with the huge amount of oral histories collected and recorded by Italian author, Alessandro Portelli, over 30 years of field research and recollected in his masterpiece, the monumental They Say in Harlan County. The film is a journey through different times, each with their ghosts and voices, as distant echo of a bygone age, re-emerging today in the places and faces explored by the camera. Through a series of interviews, the film introduces to the stories of people struggling to survive in an area stripped of its identity. A sense of absence dominates the encounters with the characters who currently live in the area: a lack of work, relationships, future, and hope. Deprived of a historical perspective as well as of any possible trajectory, these characters reveal a dramatic nature –often leading a life on the fringes of the law, fighting a lonely battle for survival. On the other hand, the testimonies gathered by Mr. Portelli reflect a mythical and yet concrete past, when the clash was collective and the elements were supernatural. Portraying Harlan is portraying the United States: the sudden development of a region and its equally rapid de-industrialization are a concrete example of the dynamics of global capitalism, which here leave violently evident traces on the children and the grandchildren of the people interviewed by Mr Portelli. Harlan’s coal was used to light up the cities on the coast, but the remains of all that energy is “white trash”, a derogatory expression that today is used to describe the poor whites who live in these areas, the direct heirs of the “hillbilies”, the term used to dub the Appalachians, the inhabitants of these areas. Always hidden and despised, the people of Harlan today are constantly looking back at the past, seeking for their heroic roots, sharing with their predecessors the same need to resist and survive adversity. Endurance is a term that Portelli borrowed from Faulkner and that embodies the very spirit of the work we have undertaken. 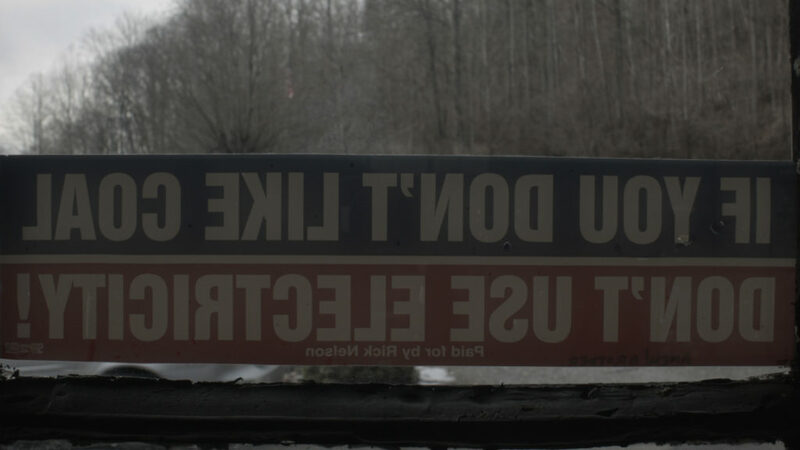 In Harlan, people are fond of saying that “There are two sides to everything”. But it designates less the conciliation of opposites than the drama of contradiction. “They say in Harlan County there are no neutrals there”. 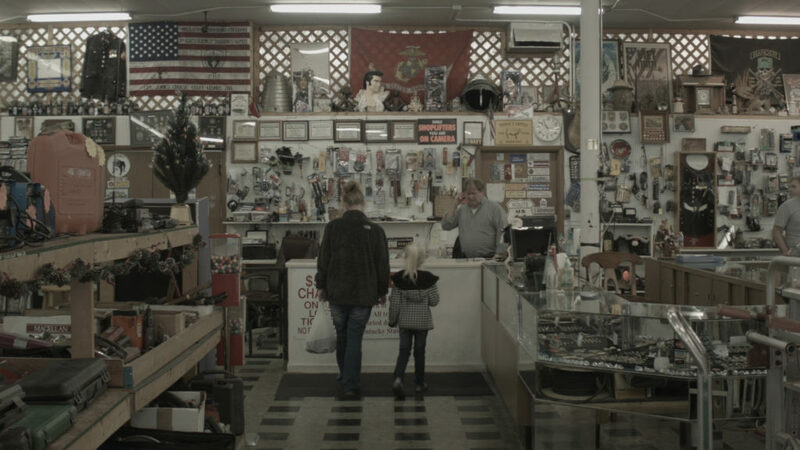 Portraying America through the stories of its heroic “trash”. 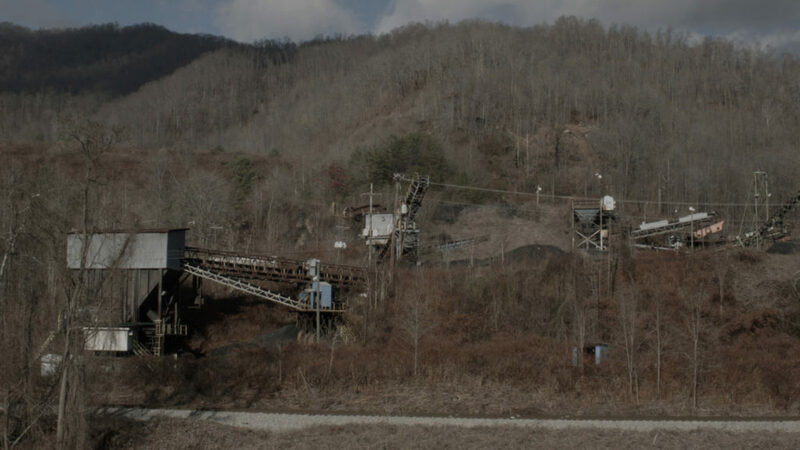 Five stories from the disappearing mines of Harlan County. In the early Sixties, it was the powerful music from the Appalachian Mountains, with its songs of protest, that first caught the attention of young Italian scholar, Alessandro Portelli and drew him to US, and then to Harlan County, Kentucky. The social context that opened up to the eyes of an outsider such as the Italian researcher was as far removed as it could be from anything that at the time was associated with the United States. Poverty, class struggle, exploitation were the hidden face of a country in rapid economic development. Alessandro Portelli began to collect the first oral testimony. Over the decades, for more than thirty years, Mr Portelli combined his work as professor of American Literature with a deep interest in the small hidden stories of Harlan County, and soon realized that those stories spoke of a community that was losing its cohesion. The myth of the first pioneers from the colonization era interlaced with the destruction brought by mining companies and the energy crisis, while animist religious beliefs coexisted with domestic violence. All this was recorded on tape by a stranger who apparently had nothing to share with the people he interviewed. Alessandro Portelli was able to reconstruct the history of a frontier land, in a historical and social context in constant transformation. His book America Profonda (Deep America), published in Italian in 2011 by Donzelli and in the United States by Oxford Press (with the title They Say in Harlan County), seems to suggest a narrative technique similar to that adopted in the film editing process, and is now considered a masterpieces of “oral history”. 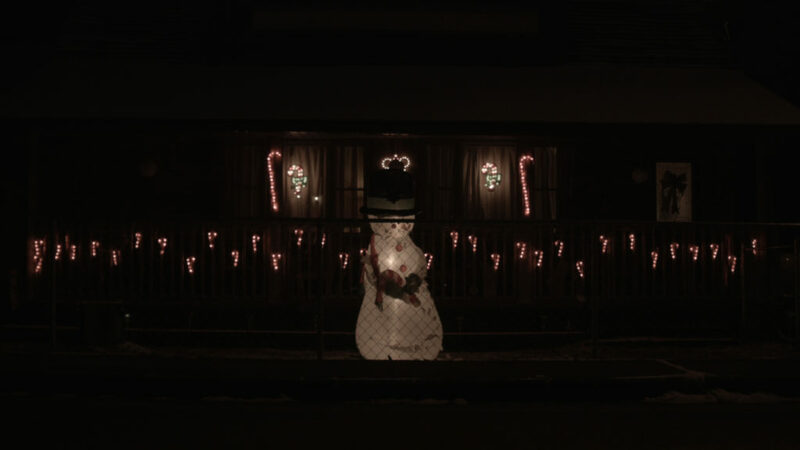 Through the synthesis between the images and voices of today and the priceless patrimony of recordings collected by Alessandro Portelli, Shadows of Endurance – Deep America aims to be a cinematic exploration of the obscure and forgotten sides of the American culture. The expressive potential of the audio material, as well as the poetics of the contributions, and the symbolic power of the content allow a reinterpretation of those stories that brings back to the public the voices of the characters from an era that is now blurred. The times of transformations are gone, and today Harlan looks like an empty container of that renewing power that once brought to the Appalachians the biggest personalities of the so-called music of protest. In this sense, our film aims to stage a sort of “city of ghosts”. The important work undertaken by Mr Portelli will find continuity in a contemporary survey of what is left of that culture, with the story of the new reality in Harlan (unemployment, need to reinvent a future, widespread addictions to prescription drugs) constituting a further chapter of a still developing story, subliminally inviting researchers to continue collecting the voices of future stories of resistance. The work that we propose is a kind of time travel, expressed in the contrast (and complementarity) between the voices collected for three decades by Alessandro Portelli and the visions of Harlan today. Shadows of Endurance portraits two centuries of American history through stratified layers of time, comparing the lives of the people currently living in Harlan County with the huge amount of oral histories collected and recorded by Italian author, Alessandro Portelli, over 30 years of field research. 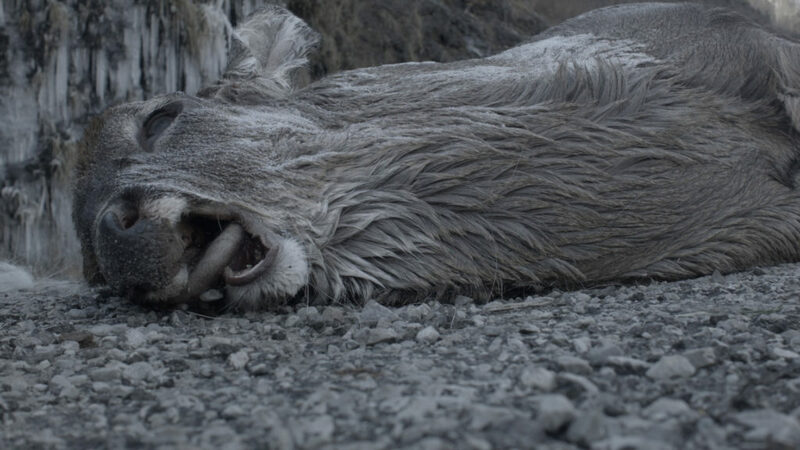 The film is a journey through different times, each with their ghosts and voices, as distant echo of a bygone age, re-emerging today in the places and faces explored by the camera. Through a series of interviews and by following 5 characters in their everyday life, the film introduces the viewer to the stories of people struggling to survive in an area stripped of its identity. A sense of absence dominates the encounters with the characters who currently live in the area: a lack of work, relationships, future, and hope. Deprived of a historical perspective as well as of any possible trajectory, these characters reveal a dramatic nature – often leading a life on the fringes of the law, fighting a lonely battle for survival. On the other hand, the testimonies gathered by Mr Portelli reflect a mythical and yet concrete past, when the clash was collective and the elements were supernatural. The film is the result of the intersection between a series of excerpts from the observation of the life of five characters (among the many we met during the pre-filming survey) and the voices from the past, gathered by Alessandro Portelli. While the places are the same, the themes, though connected, are often in opposition. Each character will be portrayed by combining selected themes from the book with the stories of yesterday’s characters, either by contrast or analogy. Excerpts from Alessandro Portelli’s book They Say in Harlan County. An Oral History, describing the motive and method of his research, work as an introduction to the stories told in the film. Our first character works as gun guy in one of three local pawnshops. 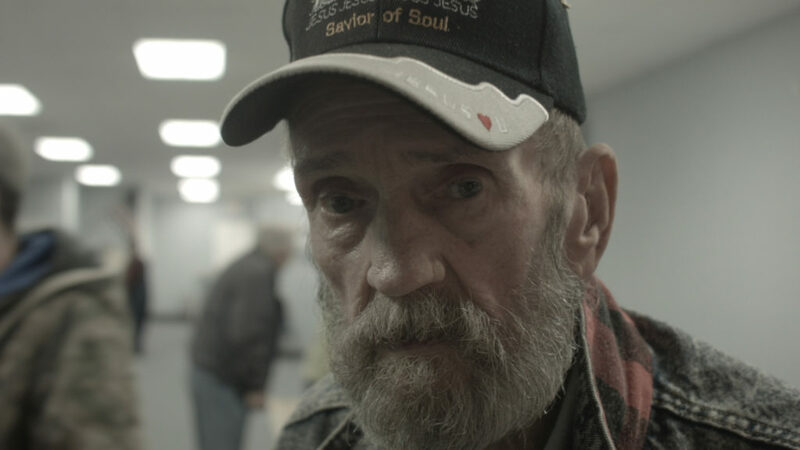 He introduces one of the main subjects of the film: the poverty that afflicts the majority of Harlan population and the simultaneous obsessive presence of weapons. Following Tim in his daily activities, we observe and discover the social landscape of this story. In between, where the narrative pauses, Portelli’s text works as a counter melody, putting the images of today into historical perspective. 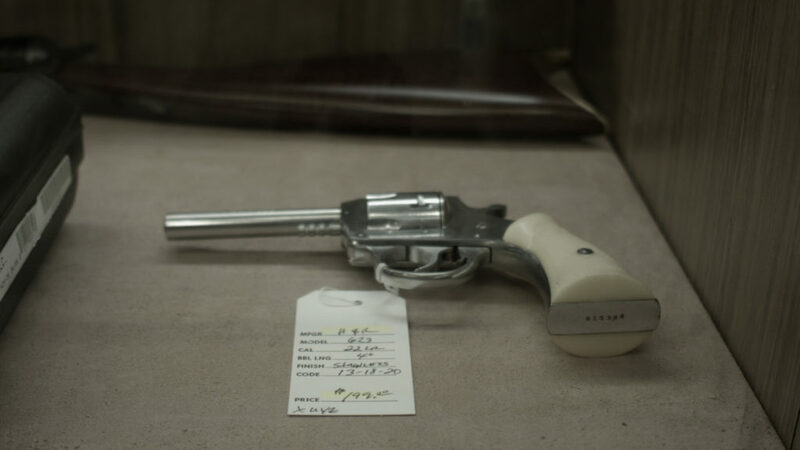 The voices from the past reveal an intimacy with the weapons and a closeness to death that appear to be a distinctive and determinant characteristic of the people of Harlan. Ray Ellis: «The first thing you know, they’re shooting at each other. You’d have killings and things like that on election days. […] I remember an awful good friend got killed once, over nothing». The voice of Ray Ellis as recorded by Mr. Portelli introduces the audience to the second character in the film. Steven is a young man who dreams to leave his native place, while he goes to college in the county. He supports himself by working in the only bar in Harlan (the county is otherwise dry: the sale of any type of alcohol is generally prohibited or strongly regulated) and plays in a college band along with some friends. 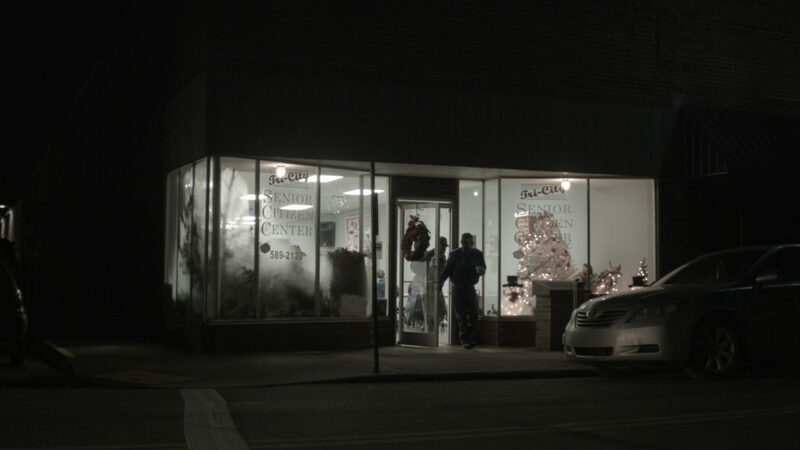 Though he has not completely abandoned the prospects of a future in Harlan, Steven hopes to live elsewhere, away from drugs and unemployment. For many of Steven’s friends joining the army is the only available option to leave Harlan. The film shows Steven at a farewell party for one of his friends who is leaving for a military mission. With the images of Harlan woods and valleys in the background, the voice of Tony Sweatt, recorded by Alessandro Portelli: «After high school I joined the army. I was petrified of the coal mines and my granddad did not want none of us going into it, so I joined the army». Together with open-pit mines, addictions are Harlan’s most painful scars. John makes two dollars an hour as a waiter. He is able to support his family (a wife and three children), only thanks to the tips he gets at the city diner. A few years ago he was addicted to Oxycon and other prescription drugs. Today, after years of rehab and relapses, he keeps himself busy with his family, his work and the local Seventh-day Adventist Church. Over the images of John’s daily activities, we listen to the recorded words of JC Hall: «Shall the Bible say you pick up serpents, drink deadly poison, they will not hurt you, I know, all my people done it, three generations. My aunts and uncles and my mother, they used to handle snakes and my mother used to go to church handling snakes and hold me in one hand and snakes another». Mines were deadly places, filled with threats, poisons, and dangers of all kinds. Now in her fifties, Barbara was widowed at sixteen, with an infant son. She got remarried, is now a grandmother of two grandchildren, and runs an antique shop with a tiny cafe on the road that cuts the mountains between Harlan and Whitesburg. Her daily routine is marked by the occasional passing motorists who stop by. Over the images of a closed strip-mine the voice of Will Gent, as recorded by Mr. Portelli: «Lady live down the street here on the end. Her husband was killed where the mine here was running [..] him and his brother-in-law and another guy, they went in on Christmas Eve. [..] They went in, anyway. Sunk the hole up, put the dynamite and stuff in. When he backed up, got into the high voltage wire and it barbecued him, roasted, killed him instantly. Like that». Mining works, however, are almost entirely disappearing. After working in the mines for decades, Brian is now unemployed and faces a rehabilitation program after doing time in jail for a minor theft. His life is dotted with nights spent in a cell and short periods of detention, of jobs that didn’t last and illicit activities, such as making moonshine corn whiskey. I started helping dad make it when I was six year old. And the first time I ever remember tasting moonshine, I could not have been over three to four years old». 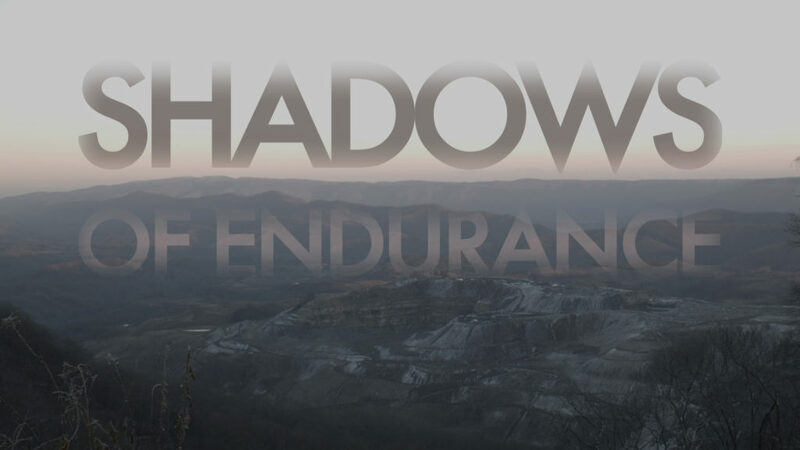 Shadows of Endurance is a documentary project created for the web. The film is designed as an interactive documentary following the characters of the film (and potentially many others) along the paths that originated from the themes of Portelli’s book. The user can navigate within the territory following five different routes: mines, nature, music, history, biographies. The relationship established with the main cultural organization in the area, Appalshop (appalshop.org), which for decades has undertaken activities to recover the memory of these places, allows us to create a platform for radio, web and mobile devices, in order to document the present of the area, using contributions from the users and the local population. The collaboration with Robert Gipe, Professor at Kentucky University will also be a valuable contribution. Also under construction is an app that will integrate information about the area with the stories recorded by Mr. Portelli and documented in the film. Portraying Harlan is portraying the United States: the sudden development of a region and its equally rapid de-industrialization are a concrete example of the dynamics of global capitalism, which here leave violently evident traces on the children and the grandchildren of the people interviewed by Mr Portelli. Harlan’s coal was used to light up the cities on the coast, but the remains of all that energy is “white trash”, a derogatory expression that today is used to describe the poor whites who live in these areas, the direct heirs of the hillbillies, the term used to dub the Appalachians, the inhabitants of these areas. Always hidden and despised, the people of Harlan today are constantly looking back at the past, seeking for their heroic roots, sharing with their predecessors the same need to resist and survive adversity. Endurance is a term that Portelli borrowed from Faulkner and that embodies the very spirit of the work we have undertaken. At time being the project has not found a production company yet. After getting in touch with Alessandro Portelli and agreeing with him about the use of his recordings, we traveled to Kentucky where we conducted over 20 interviews with local people. We then selected and edited some of the material (5 interviews) and wrote a first draft of the screenplay. 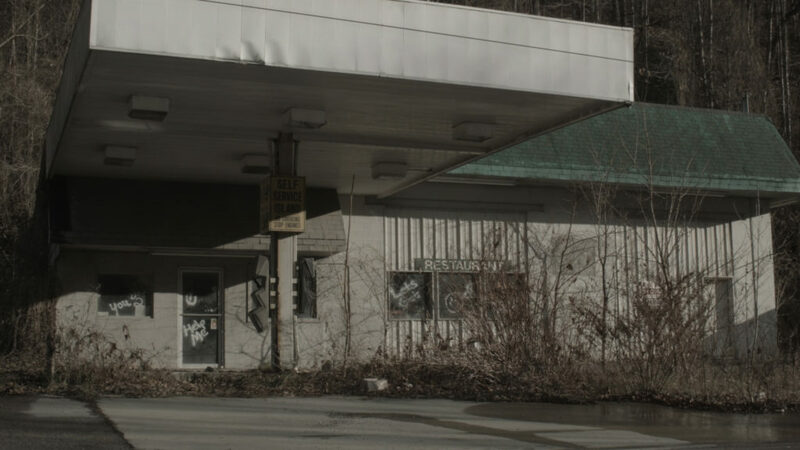 Due to a limited budget, Mr Portelli’s recordings as well as Super8 films shot in Harlan were not included in the first editing. For this project gargagnànfilm will work together with the American communication and production company OddComm, owned by Maurita Cardone (producer).